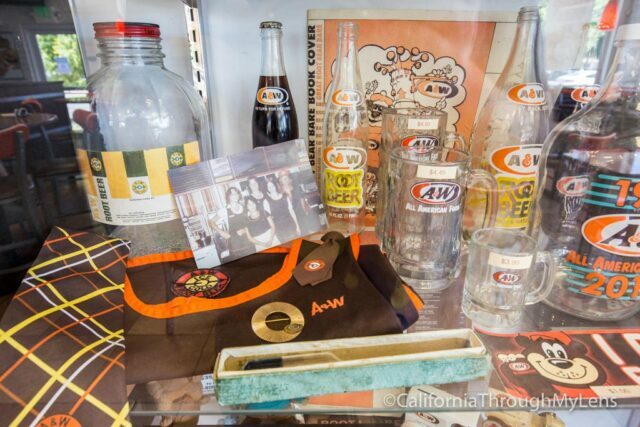 Before becoming a wine town, Lodi’s claims to fame was being the birthplace of A&W Root Beer. 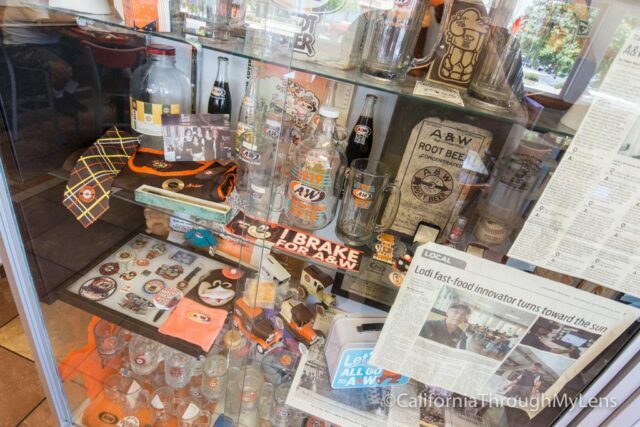 While there is not anything left of the original building, there is still a lot of fun memorabilia and experiences you can have in Lodi visiting the roots of this famous American establishment here is all the info. 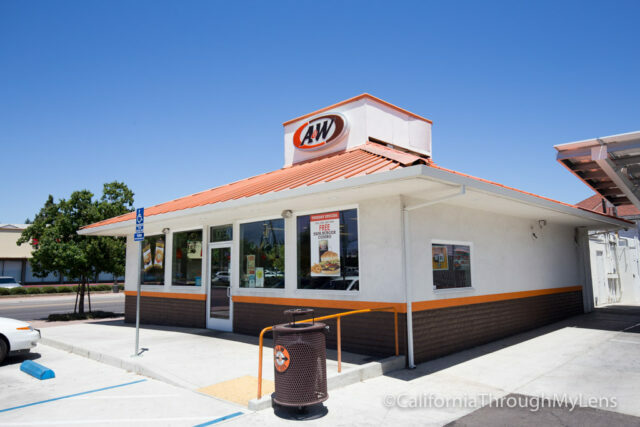 The main A&W in Lodi is located on Lodi Ave only a few blocks from downtown Lodi itself. 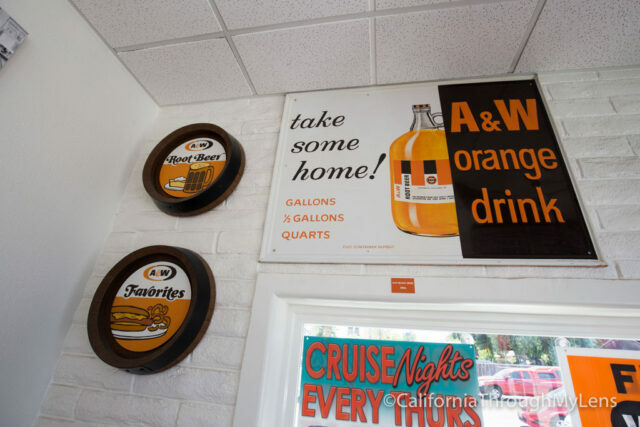 While this is not the original spot, it is an old A&W, and it serves as the main area in the town for reliving A&W history. They even have a car hop service that you can use to get your food like the old days. I elected to go in and inside I found lots of memorabilia on the wall from the company’s history. 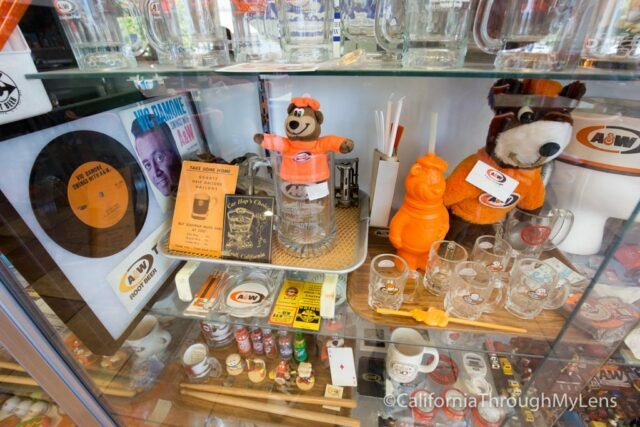 There were two large glass cases with things like old menus, employee outfits, and even toys. 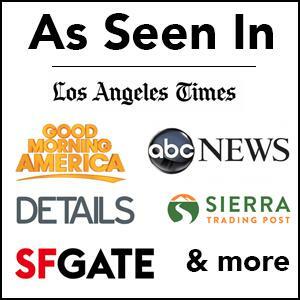 It was a lot of fun to see. 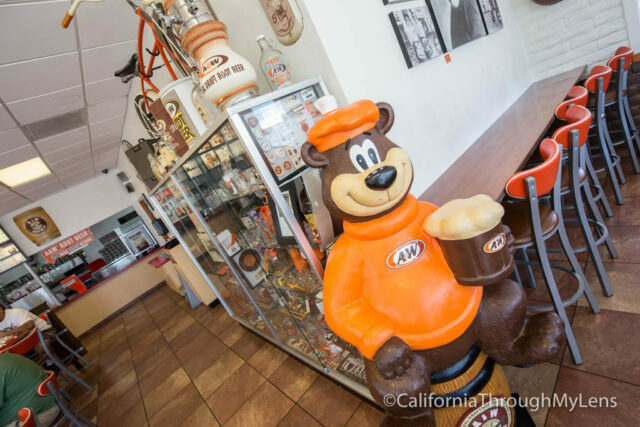 There is a 3-foot tall ceramic bear sitting next to the memorabilia as well which is the mascot for A&W. Of course, you can’t come here and not order a root beer. 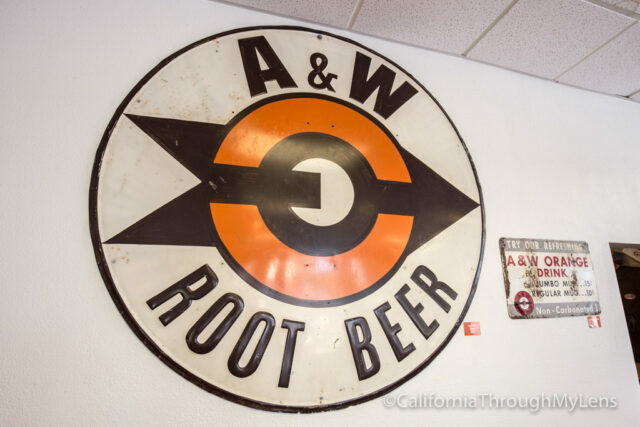 The root beer is made on site and stored in kegs, so it tastes much better than the kind you buy at the store. It also comes out in a frosted glass mug which is a fantastic experience. When was the last time you drank from a glass mug at a fast food place? 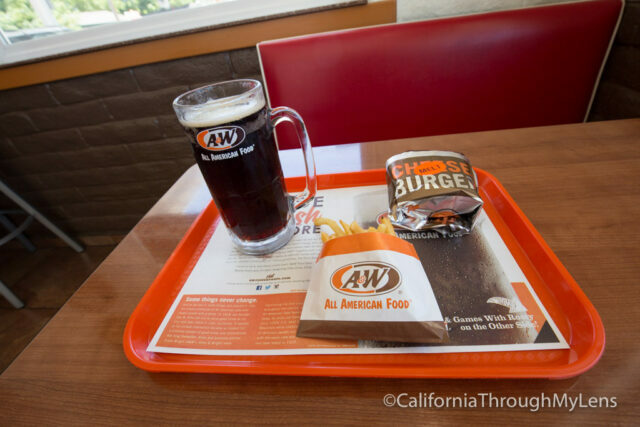 I found the food to be above average for fast food as well, but it may have been because I was enjoying my root beer so much. In the back, there is also a wall of photos from the original location and from Roy Allen himself. After finishing your meal, proceed over to 13 Pine St, right near the Lodi sign and walk along the street towards School Street and you will see the plaque noting the original location in the ground about halfway to School St. 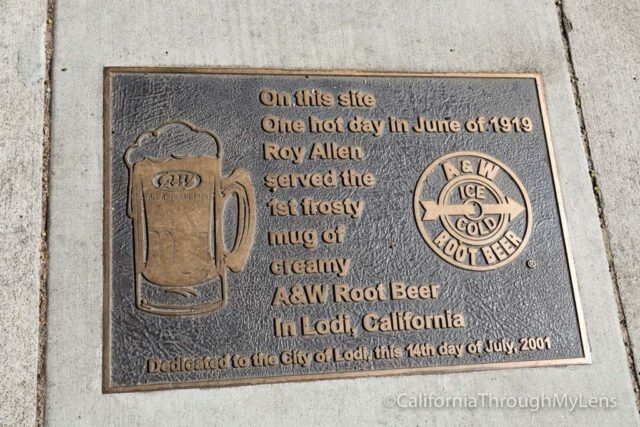 The plaque itself is easy to walk past as it is just on the ground near a fire hydrant but I found it fun to go searching for it and to complete my time exploring the history of A&W Root Beer. 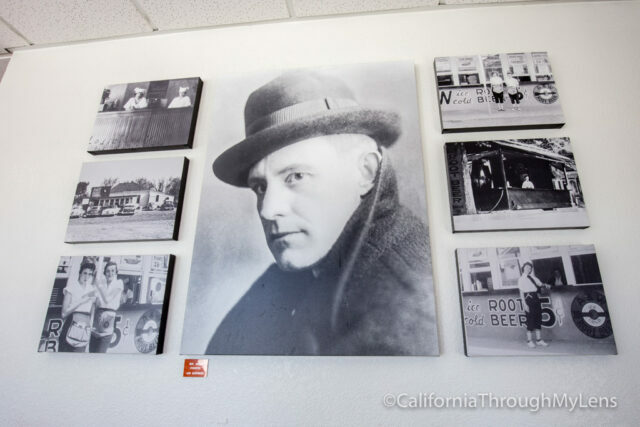 If you are looking for more things to do in Lodi, check out these posts and let me know what you think of the root beer in the comments.